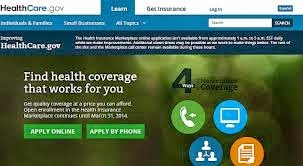 In the closing days of the open enrollment period for the Affordable Care Act (ACA) , the U.S. Department of Health and Human Services (HHS) was mailing out letters notifying certain Americans that they had already started a healthcare coverage application on their behalf. The HHS letter stated that the information they used to begin the application for individual Healthcare was obtain by the state agency in charge of implementing Obamacare. Can you imagine having your private data entered into that cesspool of a website without your knowledge or approval?